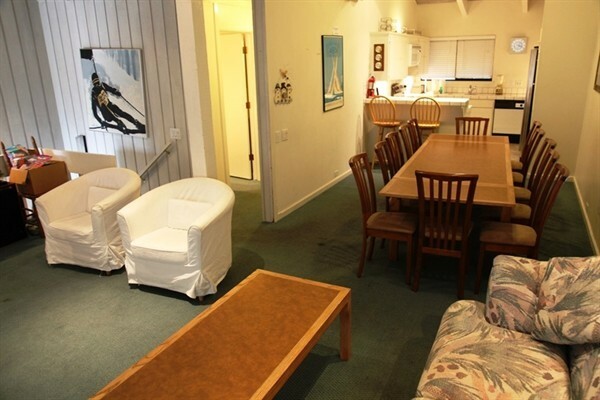 This 4 bedroom, 3 bathroom condo sleeps 11 and is just a 7-10 minute walk to the lifts at Canyon Lodge. 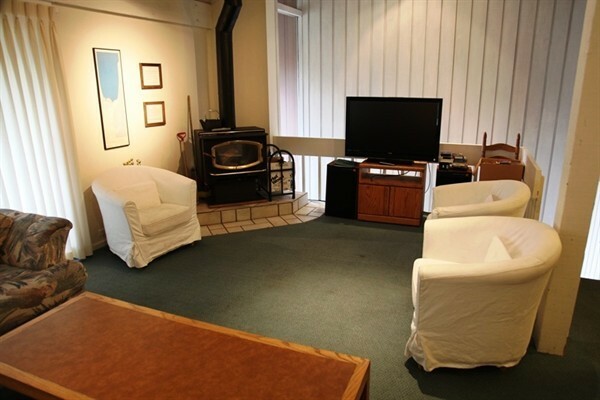 The condo features vaulted ceilings, a large open floorplan in the living area, wood fireplace, dining area with seating for 12 with an additional 2 at the kitchen bar and large screen TV with DVD player! 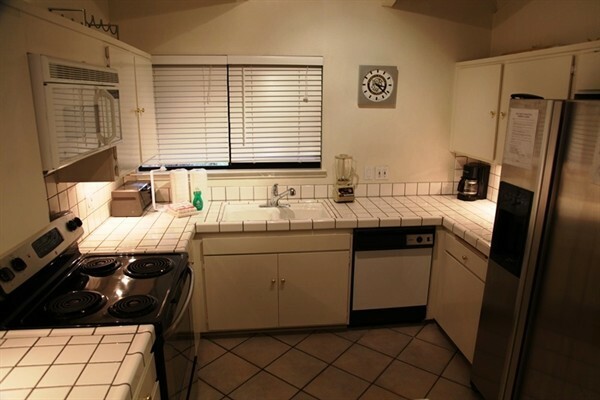 This unit includes a full kitchen with all of the appliances. 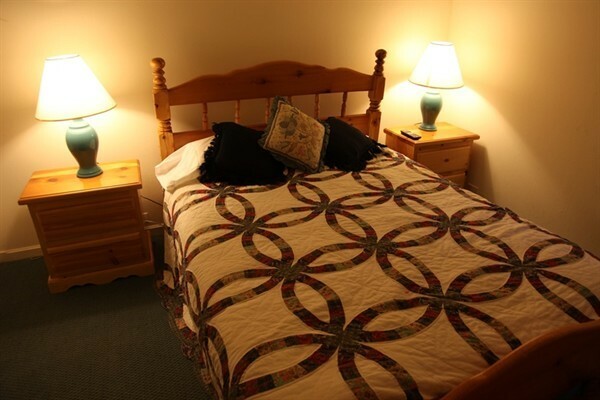 The upstairs master bedroom features a queen bed with a full bathroom just down the hallway. 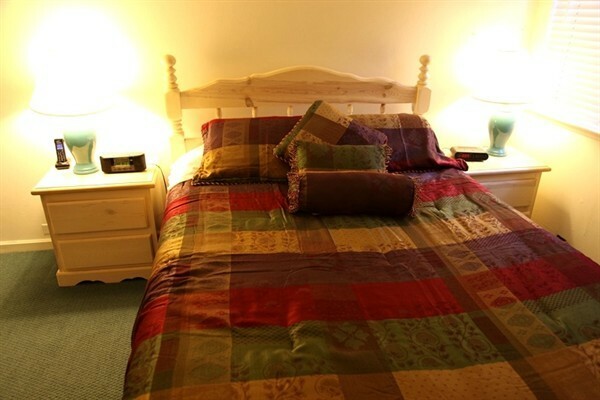 The second bedroom downstairs has a queen bed with private in-suite bathroom and TV. 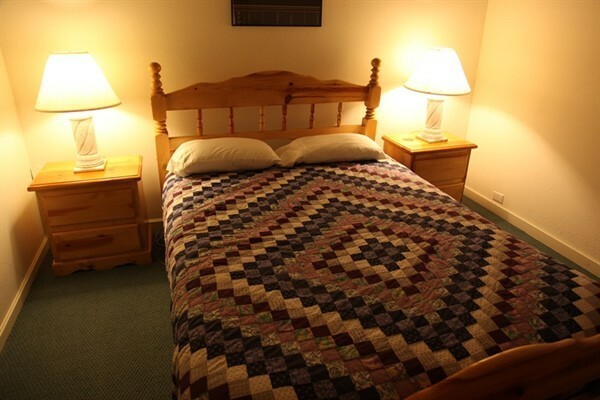 The third bedroom features a queen bed and TV. 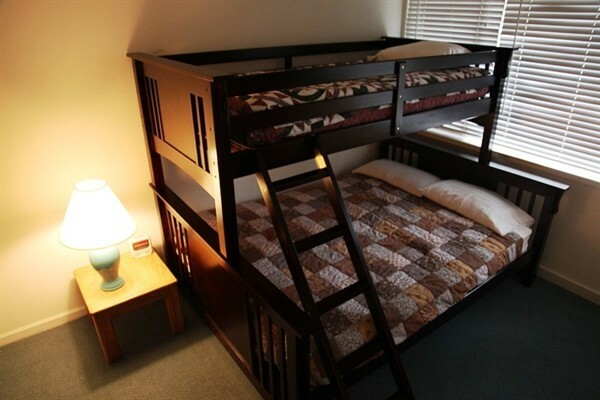 The fourth bedroom (not currently pictured) has a euro-style bunk bed with Twin on the top and Double on the bottom, and also a Twin roll-a-way (roll-a-way best suited for a child). There is also a third bathroom located downstairs and a sleeper sofa in the living room for extra guests. 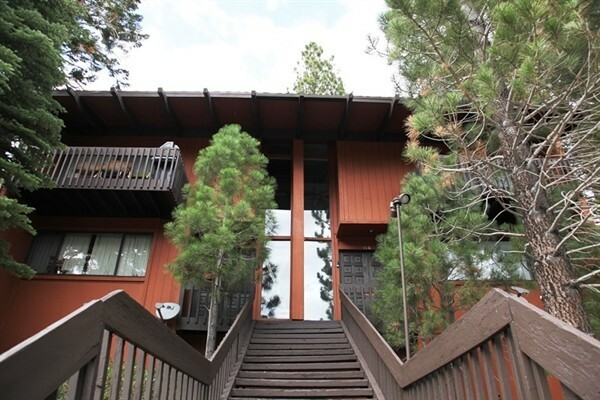 A spectacular family unit just a short walk to Canyon Lodge, there are 34 steps to this unit, 2 levels inside, and 2 outdoor parking spaces.